The tracks, from BBC radio broadcasts in 1963 and 1964, include 37 performances which have never been issued before now, together with 23 tracks of conversations featuring the Fab Four. Among the tracks for the new album On Air - Live At The BBC Volume 2 are a pair of songs which were never recorded for their record label and which have not had official release, Beautiful Dreamer and Chuck Berry's I'm Talking About You. The album is a follow-up to a 1994 collection of BBC recordings and the new set includes different versions of six songs which appeared on that album - Lucille, The Hippy Hippy Shake, I Got A Woman, Glad All Over, Sure To Fall and Memphis, Tennessee. Fans noticed that a release was imminent when there was a posting on the website of an offshoot of music company Universal in the Philippines last month, but the full details of the recordings were not confirmed until today. In all there will be 40 performances across a double CD package and there will also be a vinyl version for collectors. The Beatles performed a huge catalogue of songs at the BBC between March 1962 and June 1965, with 275 music performances. They appeared on 39 radio shows in just 1963, and on one day alone - July 16 - they recorded 18 songs for three editions of their Pop Go The Beatles series, in less than seven hours. In all they played 88 different songs during those stints, with little time to iron out mistakes so they were mostly done in one take. George Harrison recalled: "Everything was done instantly. We used to drive 200 miles in an old van down the M1, come into London, try and find the BBC and then set up and do the programme. Then we'd probably drive back to Newcastle for a gig in the evening." The previous volume of BBC recordings topped the charts when it was released, selling more than five million copies around the world in the space of six weeks. Tracks for the new album, out on November 11, include audio of the group talking to presenters such as Brian Matthew, who is still on air as the presenter of Radio 2's Sounds Of The 60s. 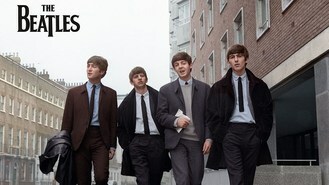 Interviews recorded in November 1965 and May 1966 for the Pop Profile series are also featured. The original Live At The BBC has also been remastered and will come out the same day.